One of the great honors of my life was to be invited to Nelson Mandela's home, spend private time and get to know him. He was everything you've ever heard and more – humble and unscathed by bitterness. And he always loved to tell a good joke. Being in his presence was like sitting with grace and majesty at the same time. R.I.P. 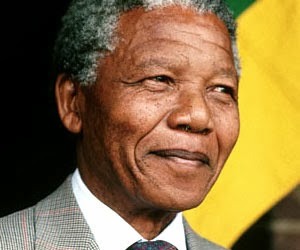 Nelson Mandela...may your principles of love be the guiding light for future generations.